Unlike the leaders of the Orthodox Union, Agudath Israel of America and the Chabad-Lubavitch movement, the rabbinical heads of the Conservative, Reconstructionist and Reform Movements declined to participate in a pre-Rosh Hashanah conference call with President Trump this morning (JTA, Ron Kampeas, September 14). Clearly, this is a controversial decision, and there are good arguments to be made on both sides for reaching opposite conclusions. But here is why I believe that the movement leaders who decided not to participate acted faithfully. Politically, we shouldn’t take for granted the exceptional relations that we have had with the White House in recent decades. After all, how frequently in Jewish history have we enjoyed such an embrace from the White House, and how different might modern Jewish history be had we possessed those relationships with European leaders before the outbreak of World War II? But history has also shown that we ultimately gain the respect of powerful people when we maintain self-respect. In this case, I believe that means distancing ourselves for now from a President who has relentlessly demeaned and dehumanized a rather diverse group of people through reckless speech—one of those sins for which we ask God’s forgiveness on Rosh ha-Shanah and Yom Kippur. (And you have to admit that insulting such a broad array of individuals, from Senator John McCain to Khizir Kahn, a member of an American “Gold Star” family, whose son died in Iraq, while serving as a captain in the American military, indicates that many have been targets of President Trump’s acts of verbal shaming and insults.) We know from history, too, that verbal abuse sets the stage for physical violence. And we can reach far back into Biblical times for precedents of religious leaders confronting political power (for example, the Biblical prophet, Natan, confronting King David). Religious leaders can cause significant damage when they are seduced by proximity to political power. It can warp the very values that are supposed to guide their moral leadership, and that’s good reason to opt out of this presidential call. In an earlier editorial, in The New York Jewish Week, Gary Rosenblatt, publisher, wrote that “Rabbis Should Confront Trump Head-On Over Charlottesville. Apply the lessons of Elul and Don’t Hang Up on the President”. He argued that rabbis who declined the call with President Trump were not applying one of the fundamental lessons of these holy days, namely, reproving someone who acts immorally (Leviticus 19:17). The question of when reproof is religiously mandated is complicated for several reasons. First, the general attitude in America about “judging” another is often, “if your behavior personally doesn’t hurt me, even if it offends others, I won’t bother you.” But that is not a Jewish value, and while Jewish textual sources on how and when the commandment to “reprove one’s neighbor” are varied and sometimes contradictory, one can legitimately read Jewish laws of rebuke as relating to situations in which the person at the receiving end is potentially amenable to change. We can never know with certainty if even someone whose personality seems destined to provoke havoc won’t eventually change. But what we can expect is some consistency of steps toward honest efforts of change. When we see consistent, unambiguous efforts toward change, even though they will be imperfect, then we can consider whether a person is really open to engage in difficult dialogue. I won’t psychoanalyze President Trump, but I can ask for consistent indications in changed behavior that reflect modest insight into the hurt that he continues to inflict, even if those attempted changes are imperfect. Instead, what I have observed in the past few weeks is a continuing pattern of President Trump using his “bully pulpit” to verbally bully and shame others. While there is time on these White House calls for some “limited engagement” with the president, this pre-High Holy Day call is designed to use rabbis as channels to communicate presidential good wishes locally before and during the holy days. At its best, it is a heartfelt gesture of good wishes from the president to the Jewish community. At its worst, this call can become a headline that will later be used as a reminder by the president of his support for the American Jewish community at a time when it’s convenient for him to do so. Also, understand that there is disagreement within these movements about any public policy or symbolic statement that their leaders make, and that is true of this decision. A national rabbinic organization resembles a congregation in some ways, where members have different opinions about the wisdom of a decision of its leaders. But that’s what leaders, and especially rabbinic leaders, are called to do: use their best judgment of the facts at hand, distilled through their understanding of Jewish tradition, to make hard decisions. I was not involved in the decision-making processes of those who refused the call, and I’m not acting on anyone’s behalf to defend it. But I do want to thank those rabbis who decided against participating in it. If the president is serious about deeper engagement with rabbis, there will be many opportunities for it in the coming months, and I know that my colleagues will actively seek them out and take the first steps to meet him more than halfway. Rabbi Hayim Herring, Ph.D., is an author, presenter and organizational futurist, and C.E.O. of HayimHerring.com which “prepares today’s leaders for tomorrow’s organizations.” ™ His latest book, Leading Congregations and Nonprofits in a Connected World, co-authored with Dr. Terri Elton, was published by Rowman & Littlefield in 2016.
lished by Rowman & Littlefield in 2016. Rabbi Jason Miller is flanked by Rabbi Hayim Herring and Lynn Schusterman at a STAR Foundation PEER program alumni reception in Phoenix. Rabbi Jason Miller, my close colleague and friend, is also my social media strategist. 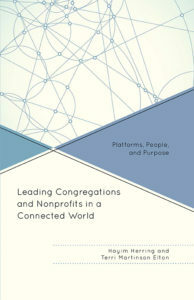 Social media, digital content and community were a few topics that my co-author, Terri Elton and I wrote about in our recent book, Leading Congregations and Nonprofits in a Connected World: Platforms, People and Purpose so I was interested in his perspective. When we first started working together about 7 years ago, his title was “website designer.” In the interview that follows, you’ll learn more about the need to think far beyond websites and social media. I wanted to hear from him about the best ways for congregations and nonprofit organizations to pull together the various tools that exist (e-mail marketing, social media, gamification, internet advertising, blogging, etc.) to deepen and expand their impact. Hayim Herring: Clearly, you’ve developed years of experience in website design and a deep understanding of social media. How do people consume information today differently than even five years ago? Jason Miller: Most content that I consume is on a digital screen, but, a confession – I still enjoy reading the newspaper each morning because I am a tactile learner. Similarly, many people still use (and enjoy) traditional media, like hardcover books, magazines and newspapers for a variety of reasons. I’ve been building websites since 1995 and have been involved in social media marketing on a professional level since 2009. I’ve watched as both the web and social networks have moved from curiosity to commonplace. We don’t even think twice about seeing a toddler launching apps on an iPad or a senior citizen casually using FaceTime to video chat with her grandson a few time zones away. Increasingly, people are consuming content through the Internet on a much larger scale than only a few years ago. Many congregations are in rabbinic search mode this time of year. Given the instability that congregations often face, many will seek rabbis who can initiate and lead the kinds of change that will reinvigorate congregational life. The intuition of these congregations is right on target, as rabbinical leadership ultimately determines the impact and sustainability of congregational change efforts. Of course, it takes the collective effort of an inspired rabbi and excellent, focused volunteer leaders to make congregations vital. However, a rabbi’s personal and ongoing involvement is a critical and key success factor to the achievement of lasting and significant congregational change. I therefore focus on insights about rabbinical leadership that increase the likelihood of success of broad and deep congregational change initiatives. My colleagues who have successfully transformed congregations have a repertoire of leadership stances. They practice leading in front, leading beside and leading in the middle. They move in and out of these roles as they initiate and attempt to anchor transformational change. These observations flow from my primary research on denominational and independent rabbis and congregations, a review of substantial secondary research on congregations and nonprofit organizations, scholarly literature on leadership, and extensive work with rabbis, congregations and nonprofit organizations. * While certain fundamentals of leadership are enduring, other needed attributes of leadership are emerging in today’s environment of expected transparency, immediacy of communications, disruptive technologies and the chaos they engender. Every successful change effort begins with a person’s inspirational vision and passion. An effective change mobilizer maintains the passion but seeks out a core team of people who enrich it because it resonates within them. Competent stewards of congregations and organizations invest significant energy into management, a complex set of activities and skills that include issues such as board and professional leadership development and adherence to the highest professional standards of governance. Rabbis who execute these responsibilities well are fulfilling a reasonable expectation of professionalism. But effective rabbinical change leaders view stewardship as the beginning of their work. If he’s right that means many of us have attention spans about as long as the blink of an eye! I’m not sure if the American Psychological Association has come up with a name for our collective impatience and inability to focus, so let me suggest Distraction Disorder. I Never Knew I Had it Within Me – Do You? To this day, it’s still a mystery where this urge emanated from, but subsequently I slowly began to own the possibility of authoring a book. I guess that was a shorthand way of intuiting that I had something within me to say that I needed to see in writing, although I was skeptical that anyone else would really care. While years passed before I published my first article, that session catapulted my unconscious thoughts into concrete realities. Today, the tools of publishing have been democratized and are easily accessible to just about anyone who wants to be an author. But making the leap from teacher and preacher, to writer with a permanent record, can still be emotionally daunting. I asked my friend and co-editor of Keeping the Faith in Rabbinical Education, Ellie Roscher, to share her thoughts on making that transition. We’re doing so with the hope that rabbis who have a story to tell about their rabbinical education will feel empowered to finally liberate that story within them for our forthcoming publication or, for that matter, to share their wisdom and spirit with the world in a way that suits them. 1) Don’t try too hard to create a style. Your style is simply what you notice about the world. Pay attention and then write what you see and think about. Your style will emerge effortlessly from that. 2) Never sit down to a blank screen without an idea. Talk to friends about your idea until you can articulate it verbally with ease. Write sentences in your head while you are driving or walking. People tend to be braver about deleting bad sentences in their head than once they are typed out. If you have a few ideas and sentences in your head when you sit down to type, you may be more playful, and less nervous about writer’s block. 3) When output feels hard, change your input to output ratio. Read great books, listen to stimulating podcasts, take in nature, put on fantastic music, sip your favorite wine. Take in a ton of beauty and then try again. 4) Read your work aloud when you think it is finished. If a sentence sounds forced coming out of your mouth, it may read forced as well. If you can read your writing aloud without strain, that means it is clear,conversational, effective communication that is distinctly “you.” Great way to find typos and listen for rhythm that feels natural. Writing is hard work, but it’s good work. Write to find out what you really think about something, to deepen your own self-reflection. Be unabashedly selfish in writing for your own self-improvement and for fun. Find the beauty of your story. Send it to one person you trust when you think it is ready. Listen to how the sentences feel in your mouth. Send it out into the world and see where it chooses to live. Let yourself be surprised and deeply proud of your courage. Welcome to the third in a series of guest bloggers from my friends and colleagues — all experts in their respective fields. As I wrote last week, these three words — mission, marketing and media — can begin to sound like empty buzzwords unless they are clearly defined and then made actionable for congregations. The content of what they mean is easy. The key is in understanding the context. Rounding out the series, I’m delighted that my friend and colleague Rabbi Jason Miller, President of Access Computer Technology and all-around rabbinic entrepreneur, is this week’s guest blogger. He provides real-world examples of what happens when the bricks and mortar of a congregation meet the bytes and clicks of the digital age, and why social media channels for engaging people are not optional, but integral to congregational work. Ask a typical Jewish man or woman if they belong to a synagogue and you’re likely to hear, “Yes, but we only attend on the High Holidays.” Nothing new there. We all know the twice-a-year Jews who only show up in the pews on Rosh Hashanah and Yom Kippur, just as we all know Christians who only appear in church on Christmas and Easter. However, something has changed as of late. That same individual who once described their synagogue attendance in such sporadic terms might now explain that she is an active member of the congregation. Has she all of a sudden begun attending the bricks and mortar synagogue building any more than she did in the past? No. So what has changed that her answer is so vastly different? She now finds herself engaging with her congregational community in Cyberspace. She is a fan of the congregation’s Facebook page and while she was able to ignore those monthly event flyers that arrived in her mailbox on various colors of copy paper, she now sees each program the congregation offers in her Facebook feed (which she spends an hour a day on average reading!). As she’s following the lives of her friends and family, she’s also tracking the weekly happenings at the synagogue. She can see which friends are attending classes, she is learning from the rabbi who posts some thoughts on the weekly Torah portion, and she closely scrutinizes the photos that were uploaded from the last Sisterhood function (which she didn’t attend in real time, but she now feels as if she was there). 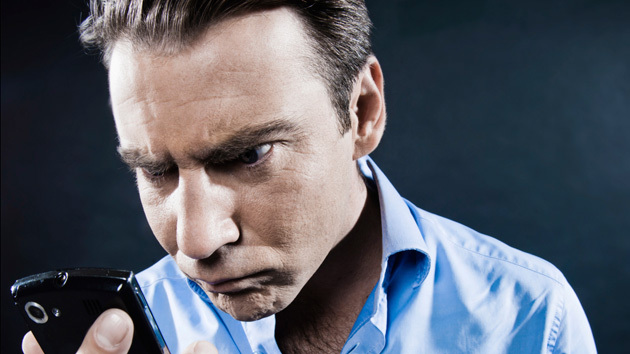 That same individual who felt so out of touch with his congregation because he only engaged the services of the rabbi a few times in the month leading up to his daughter’s bat mitzvah is now subscribed to the congregation’s weekly Constant Contact newsletter. He knows which congregants passed away, whose children became engaged, and who just became grandparents for the first time. He can now keep up with what his children are learning in the religious school because he follows the education director’s tweets during the school hours (wow, he thinks, this is way more interesting than my Hebrew School experience!). He learned from uploaded photos on Instagram that there is a monthly study session just for men at the local pub led by the rabbi and he already added the next month’s session to his calendar.